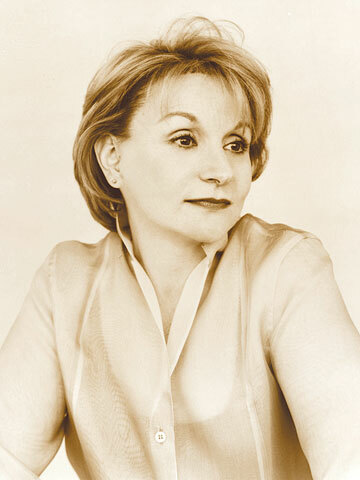 Sarah Ban Breathnach has appeared many times on The Oprah Winfrey Show. Recently she was on Oprah’s Webcast Soul Series. Sarah presented at Maria Schriver’s Women’s Conference in Los Angeles, October, 2008. Sarah has designed “Simple Abundance Close to Home” as community workshops based on the Principles of Simple Abundance. She has conducted seminars in CA and Florida to train professionals as certified leaders of the workshop. More magazine named Sarah as one of the 50 “extraordinary” women redefining what it means to be fifty today. People magazine asked Sarah to be a special correspondent at the funeral and celebration of the life of Princess Diane in London, September, 1997. TV Guide has turned to Sarah Ban Breathnach twice to write on the role of spirituality and television for solace after the horror of 9/11. Sarah Ban Breathnach has been a contributing editor of Good Housekeeping and wrote a column on “everyday spirituality”, the first for a mainstream woman’s magazine. USA Today described Sarah’s body of work as “Simply Irresistible”. Since 1995 the Simple Abundance Charitable Fund, founded by Sarah Ban Breathnach, has supported the visions of more than 100 non-profit organizations by awarding over $1 million in financial support. Sarah Ban Breathnach presently lives in Southern California. Her book - Peace and Plenty - was published in December, 2010 by Grand Central Publishing. This is a most timely book and Sarah’s global fans are already giving it high praise. October 8 through 10, 2010 Sarah led another training on Simple Abundance as well as on her new book Peace and Plenty. This was an extraordinary opportunity to be a part of the Simple Abundance Family. Peace and Plenty will also have an accompanying journal, The Peace and Plenty Journal of Well-Spent Moments under Simple Abundance Press. It is now available for pre-order. Just visit Sarah’s Simple Abundance website http://www.SimpleAbundance.com for more details and to order your special autographed copy.